The RainyDayCrew had a very relaxing month of August, away from the rigors of playing with gadgets/testing out new tech/generally fiddling with the stuff that shows up at the office. OK, that’s not exactly true: our time off was relaxing, but we didn’t just lounge around. One of the really enjoyable things we did was spend a few days at a friends’ wonderful place in Maine. 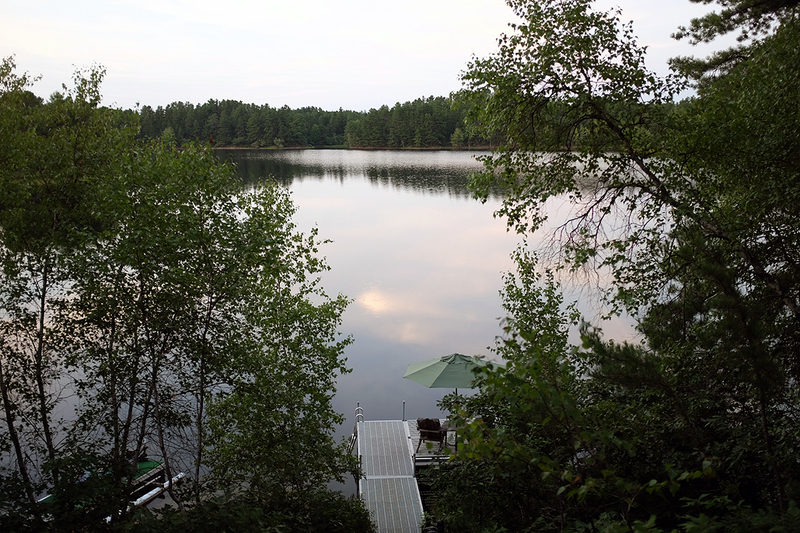 Their “cabin” is on a lake, and the land on the opposite shore is owned by The Nature Conservancy. This means no development and very little light pollution! Our first thought when we were invited up: was what astrophotography gear we should bring? 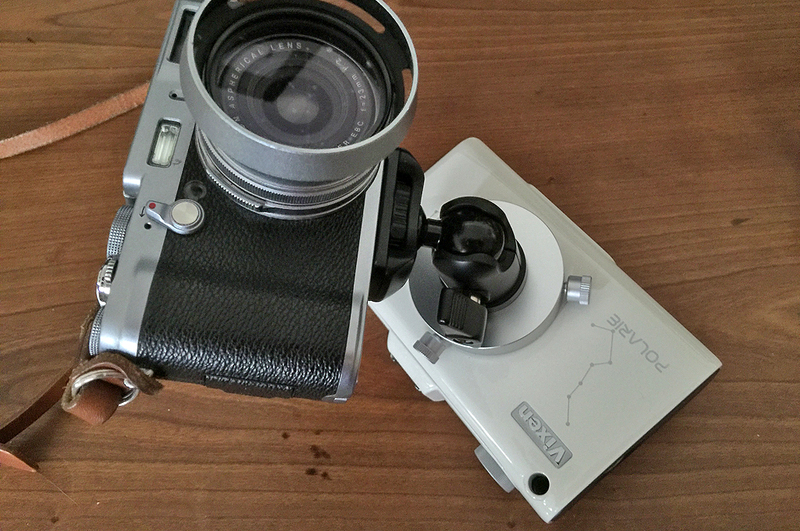 After some consideration (weather, weight, ease of setup, etc), we decided to go with the Vixen Polarie and the Fujifilm X100S camera. We chose this setup because we knew we would probably have better luck taking wide-field astrophotos at an unfamiliar site than in trying to get planetary images. The gear selection turned out to be exactly right! Mount the camera assembly onto the Polarie tracker. 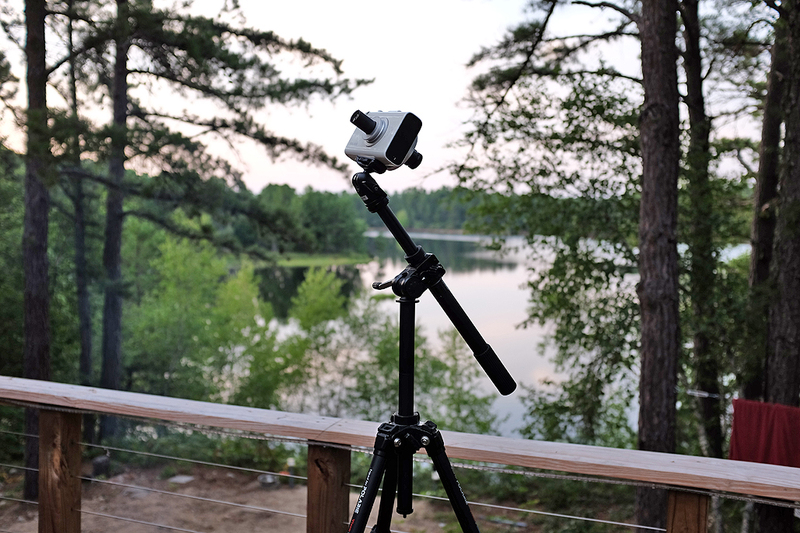 NOTE: In actual use, the polar-aligned Polarie tracker will be mounted onto the tripod already. The photos here are done with the tracker off the tripod for clarity. While manually aligning the Polarie tracker is a simple task, it obviously cannot be done ahead of time. The photos below show the setup of the Polarie tracker with the PolarScope inserted. Everything is aligned to the Earth’s rotational axis. Remove the Polarscope and mount the camera. 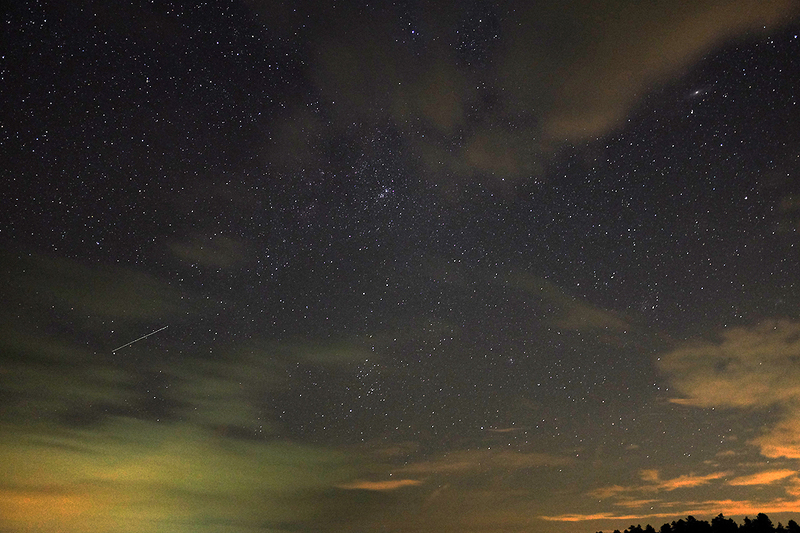 The night sky on the lake was exactly like the shows we have seen at the MOS planetarium: bright constellations, an occasional streak of a meteor, and once our eyes adjusted to the darkness, countless stars of the Milky Way. We are still pursuing our dream of Urban Astrophotography because we know we can “see more” with our camera than with our eyes. However, as the Maine outing shows, you really can’t beat having access to a dark site. We hope to leverage our experience in the wilds of Maine to improve our results in the city. Look for more in the Fall!